One of the super fun perks of being a blogger is getting to hear about and experience new shops and brands when they come to the Phoenix area. 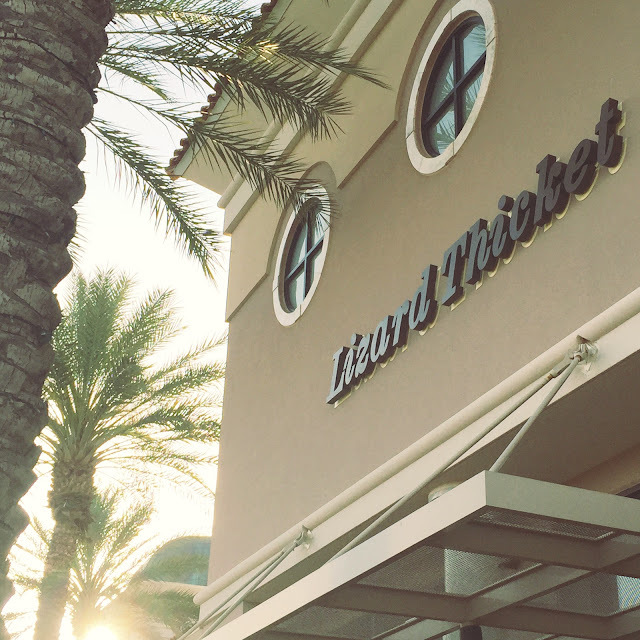 Lizard Thicket just opened in Dana Park in Mesa (at Val Vista and Southern). The vibe is a bit boho and I loved everything I tried on! 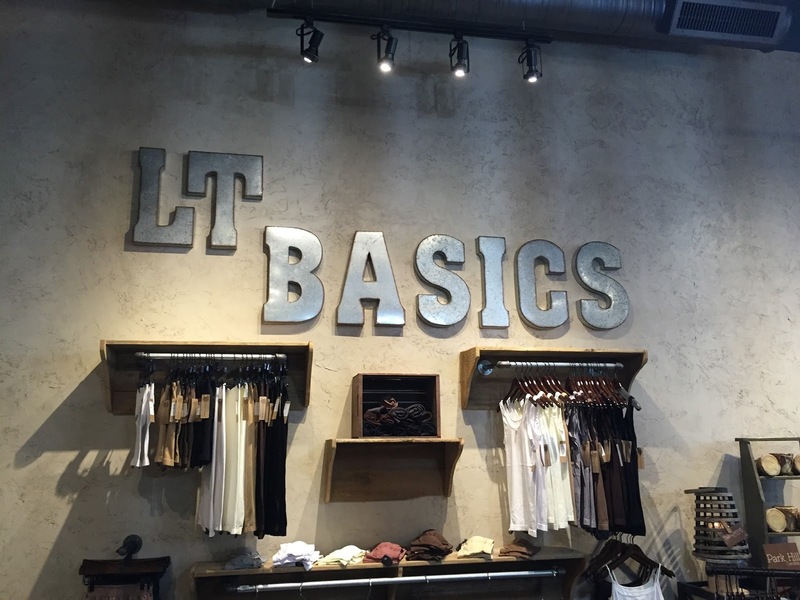 I came home with one of their LT Basics tops and I LOVE it. It's the perfect undershirt for some of my more sheer blouses. I also got this gorgeous candle. 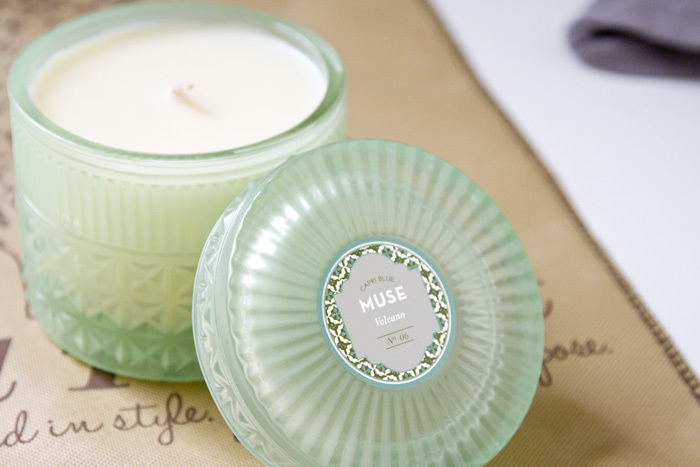 It smells heavenly and the cut glass jar was just too pretty to pass up. I spent the morning moving it around my bathroom trying to find the perfect spot for it. My bathroom is too ugly for this candle, people. See that brown envelope in the bottom corner? 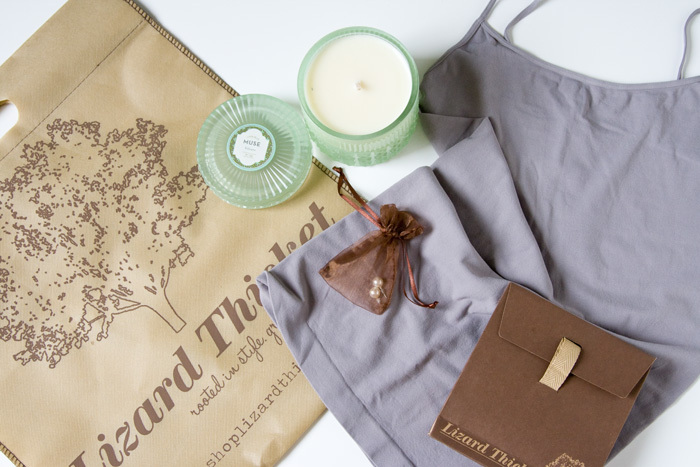 It's got a $25 Lizard Thicket gift card for one of YOU! Not local? 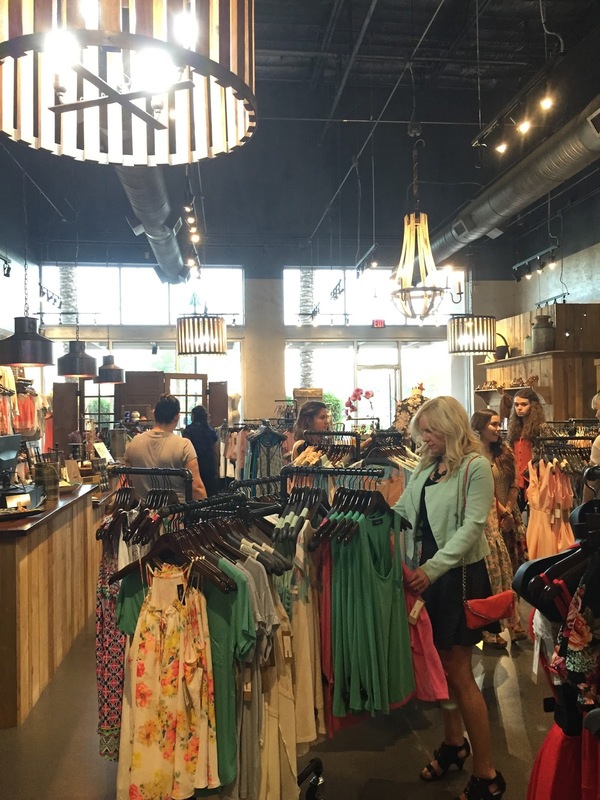 No worries- Lizard Thicket has a website with all the same good stuff as the store! With Barb, the awesome owner. She's super interesting- she used to work in Silicon Valley (she threw the word "superconductors" into her presentation. As you do) and then decided she was ready for a change. 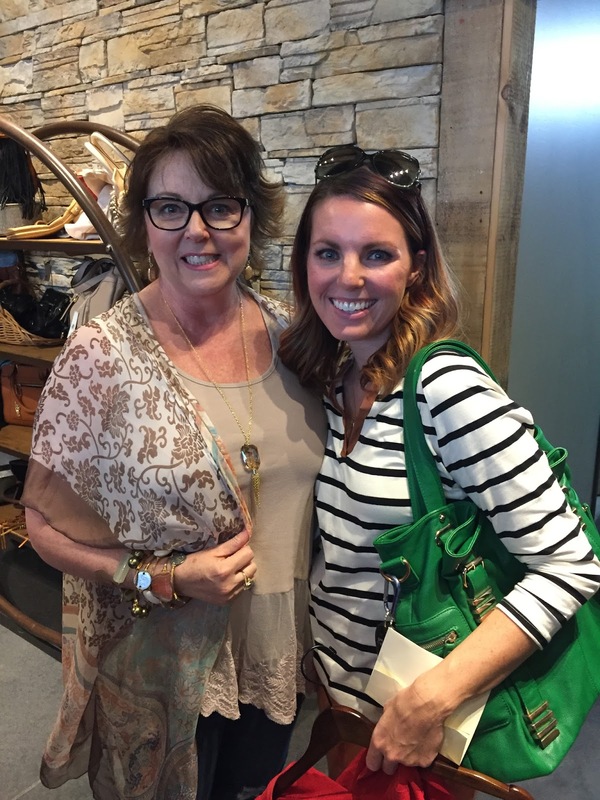 She has spent the past 2 years trying to bring Lizard Thicket to Mesa and it finally happened! 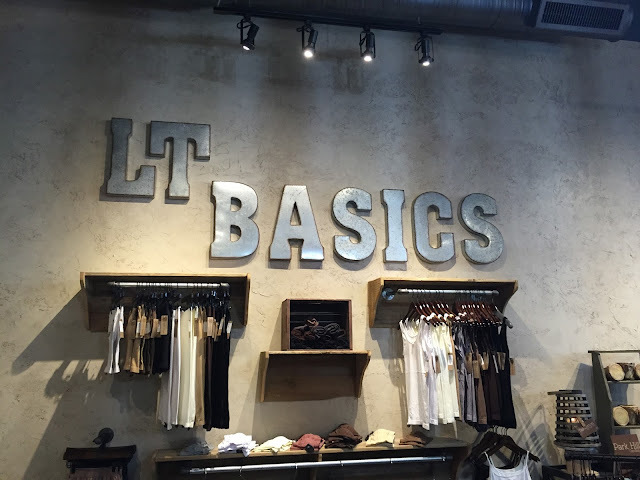 Special thanks to Lizard Thicket for providing the gift card and sponsoring this post! As always, all thoughts and opinions are my own and I love the chance to support a local small business owner like Barb. So many choices! I would probably get a dress/tunic or a basic scoop tee. Such cute clothes! That place looks cute and fun! thanks for the heads up! i checked their site and loved the camellia dress. The cross body fringe bag is beautiful. 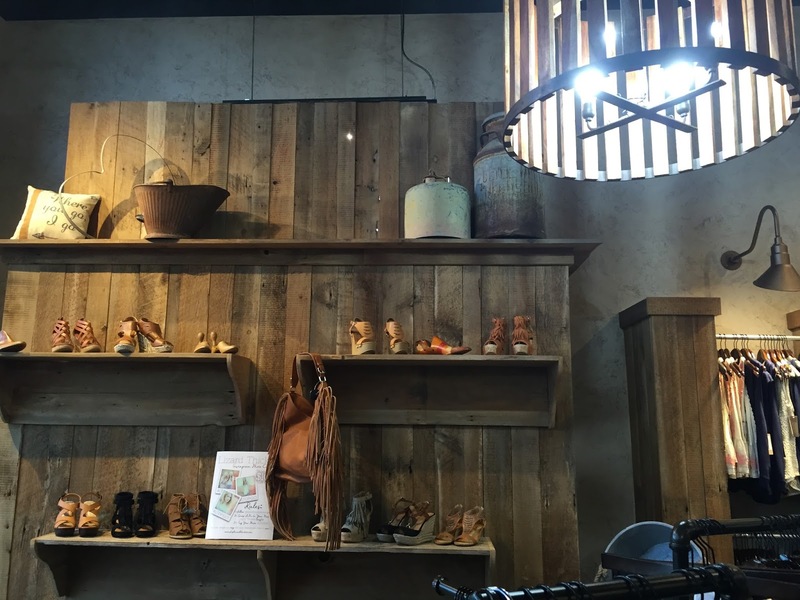 I love Dana park and can't wait to check out the store. I will definitely check out the website. What a cute place! Looks like they have a bunch of great options. I would use it for one of their adorable dresses! I can't quite pick just ONE that I love the most. They are all adorable!!! Hmm... I'd probably get a short sleeve piko shirt. i like the essential bralette in black! I love shops like this, and I love the dress options! The intertwined love brown wedges are gorgeous! I love the pucker up dress! That looks just like a place where I would spend too much money! That candle is gorgeous. Can't wait to check them out online! The stripe purple natural stone bracelet! Everything is so cute! I think I would go for a pair of boyfriend shorts to wear all summer!